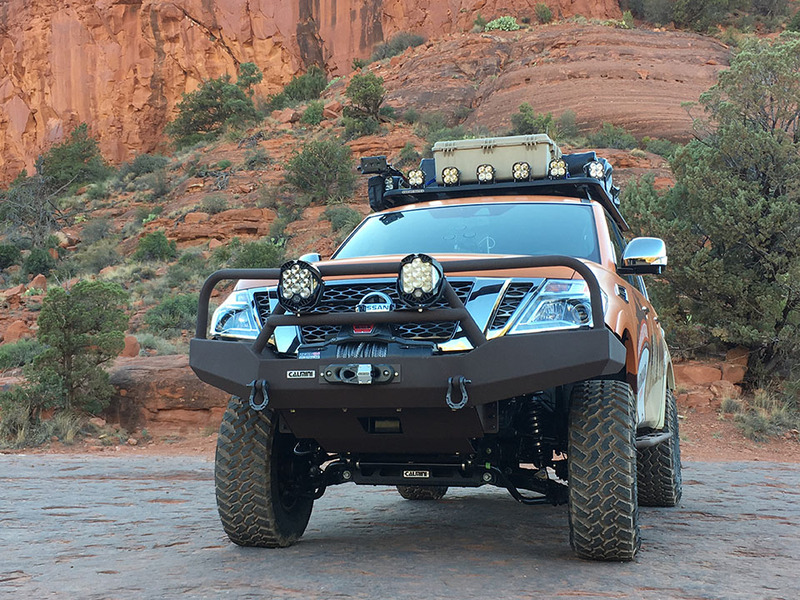 We started our journey with the reveal of the Mountain Patrol, Nissan's rugged Armada-based concept, which made its debut at the Overland Expo in Flagstaff. The Mountain Patrol name has actually been around since 1952, but is not well known in the US - at least until now. 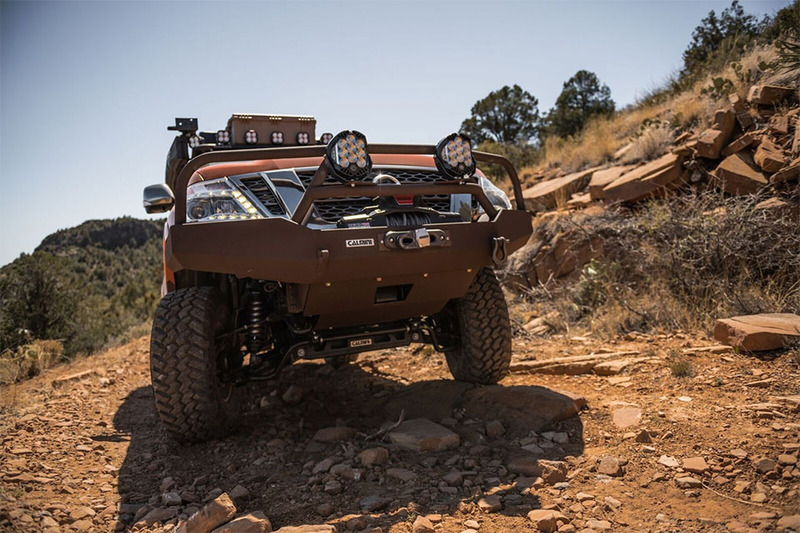 This Mountain Patrol has everything you need for self-reliant, independent travel - from a Calmini drop-bracket 6" lift to keep you off the rocks to a Cascadia rooftop tent that will provide shelter wherever you decide to stop. 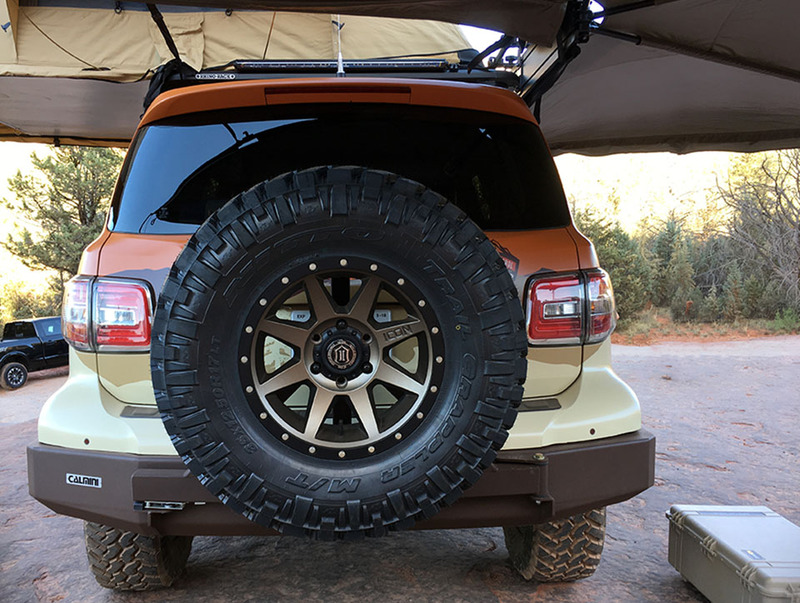 The lightweight Icon Rebound wheels, wrapped in chunky 35" Nitto Trail Grappler tires will take you anywhere off the grid you wish to go too. 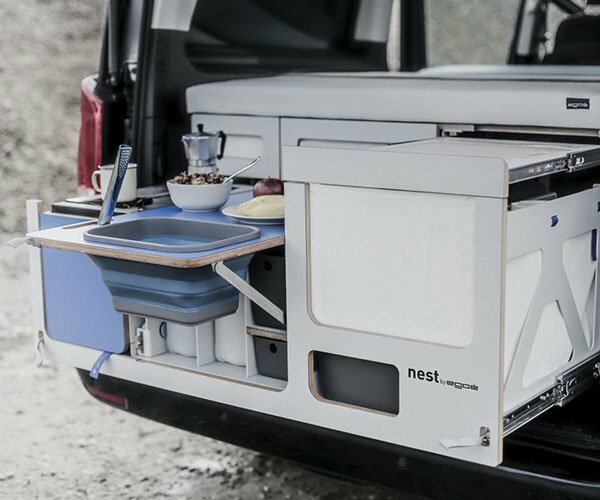 We were stoked to be a part of a select caravan. 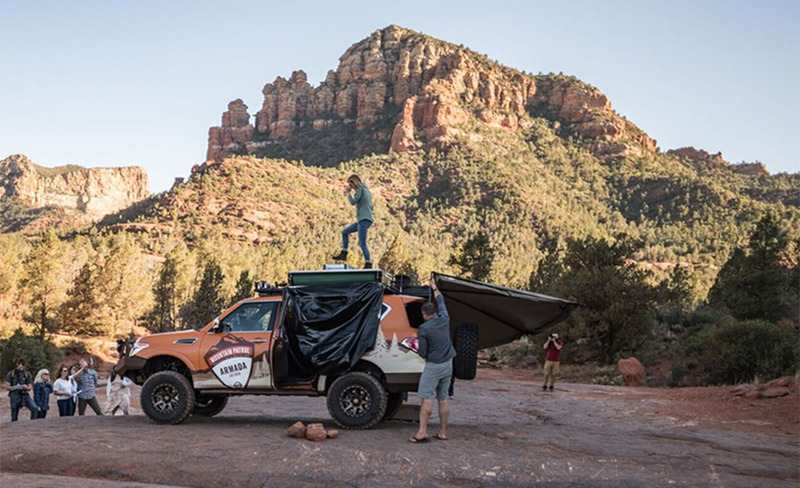 Overlanding is as much about getting off the beaten path as it is about sharing and community. Part of the fun of leaving the paved roads is finding pleasure in executing all the little details to set up camp, and seeing how quickly you can get it done (10 minutes, level: EXPERT). 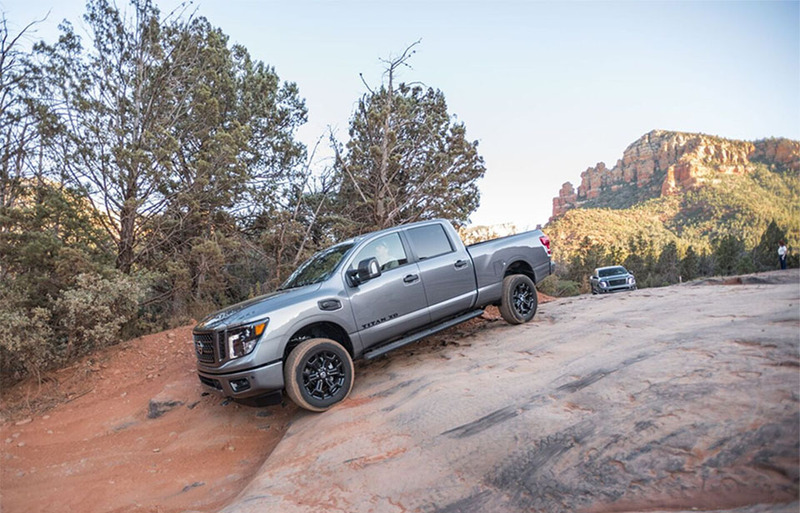 There is so much capability in the Titan trucks we drove too. 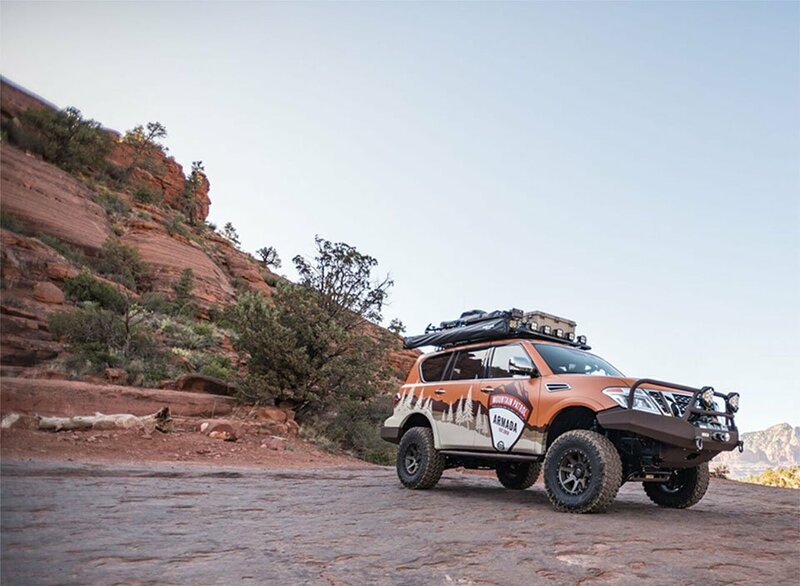 We slowly made our way over miles of trails, guarded by red rocks, into canyons and desert. Built to handle all terrains and conditions, you can see, hear and feel their sturdiness as they conquer anything you throw their way. 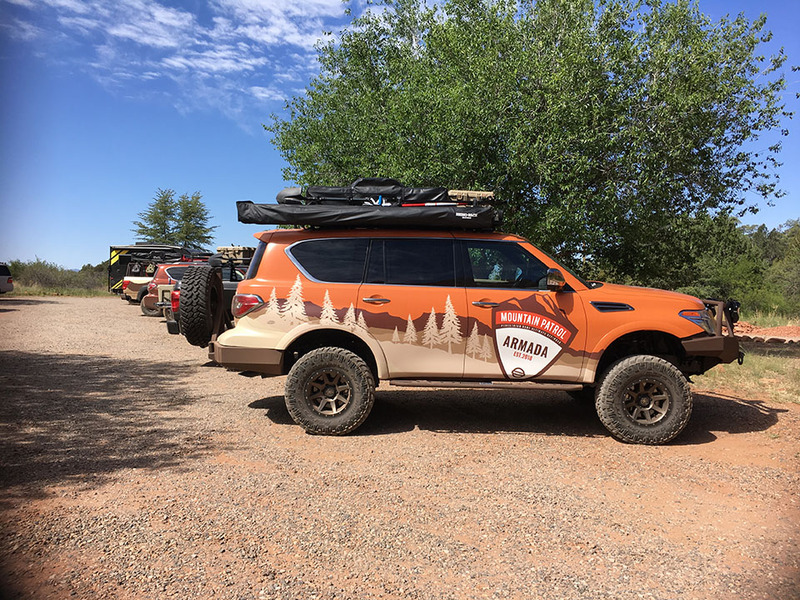 With radios in hand, our group snaked its way up and down the mountains in Northern Arizona, on everything from smooth concrete to rutted and narrow dirt trails. Just because the Armada is the fastest growing full size SUV in the US doesn't mean it's meant exclusively for hauling large groups around. 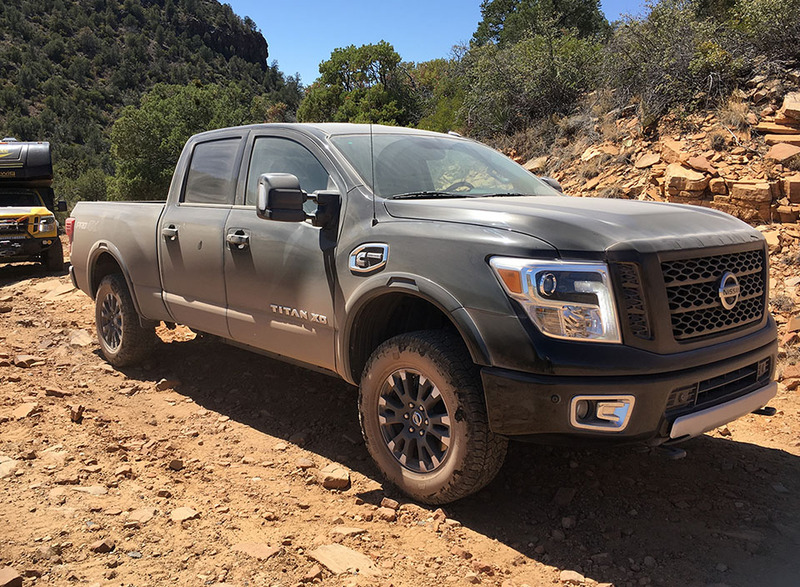 This vehicle is more than capable of keeping up with its Titan cousins off-road, with an added bonus: it's as comfortable as sitting in your living room. 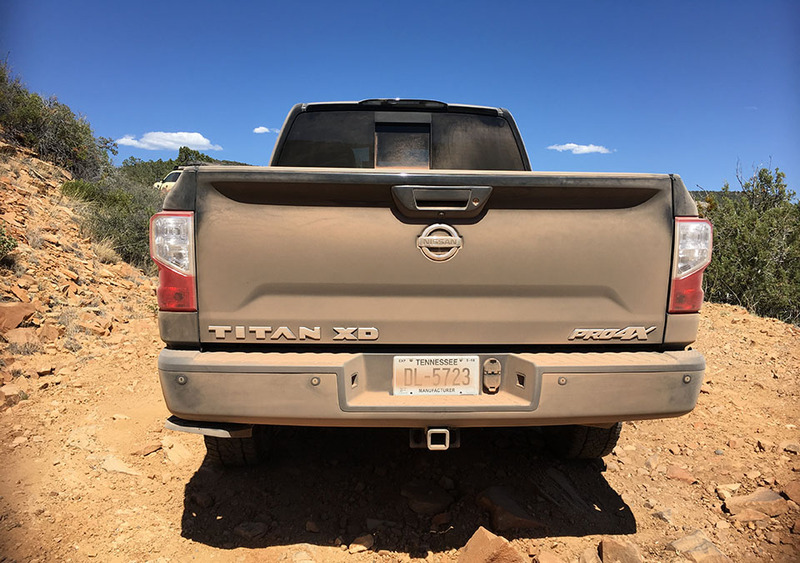 When is it ever NOT fun to kick some dust up in a truck? Especially with the windows rolled up (and the air circulating from within the cab). 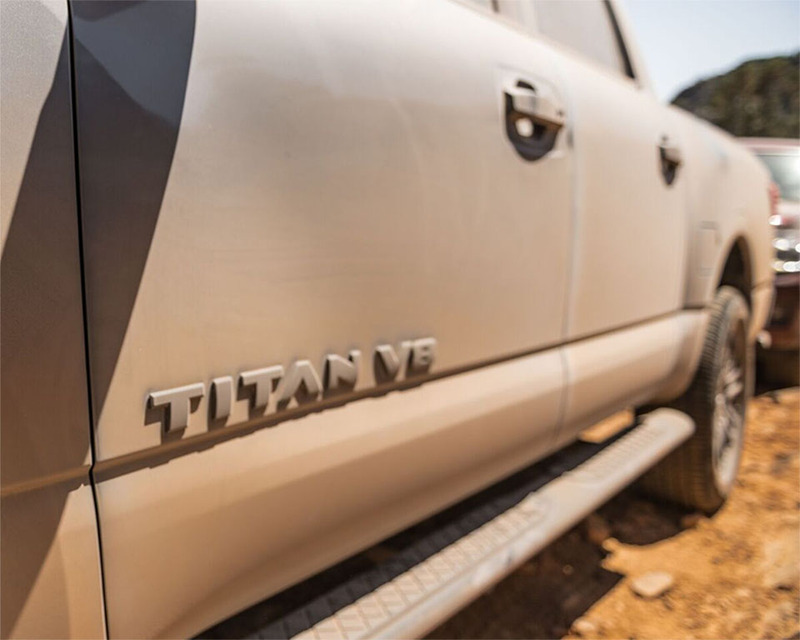 All of the models in the Titan line have a tremendous, brawny feel to them. 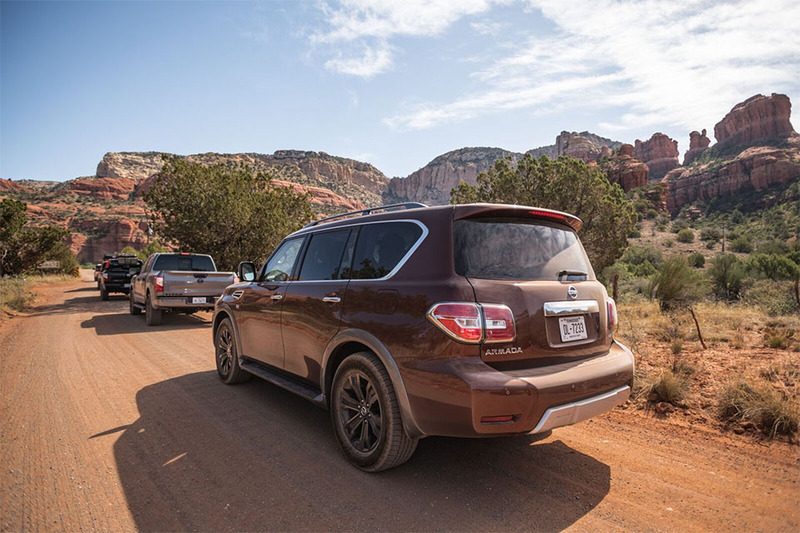 And with a most excellent 5-year/100,000-mile warranty, you can drive with confidence - wherever the trail might take you. 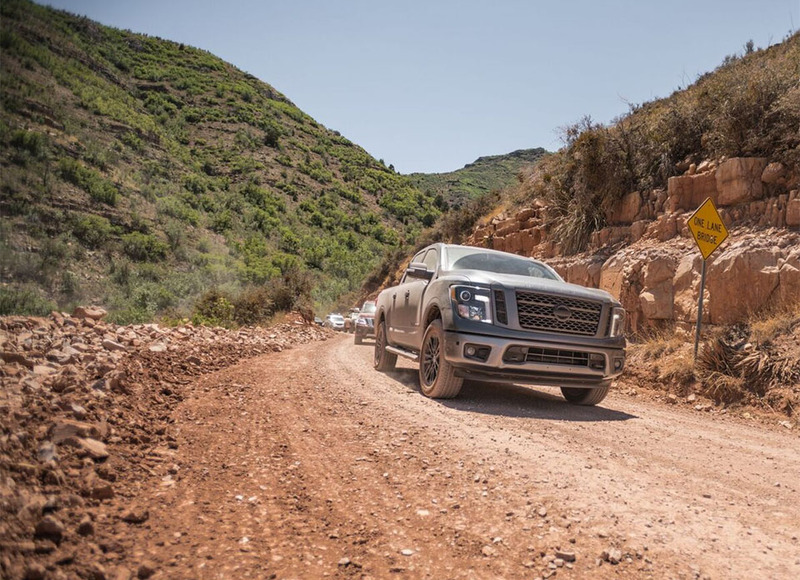 Let's not forget the looks - from the back to the front, whether it's covered in mud or not, or shimmering in the sun, the Titan has a noteworthy presence. 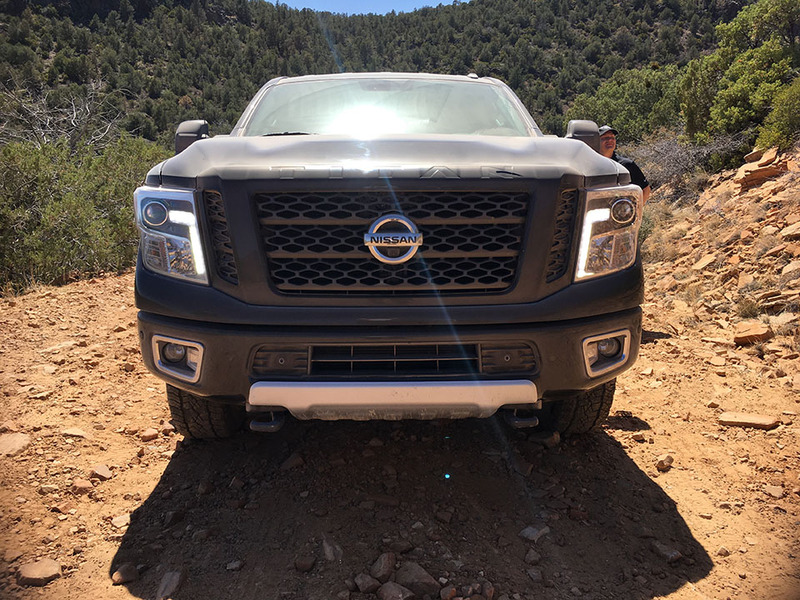 There is nothing quite like feeling the wheels of this truck connecting with the earth, and secure knowing you can climb up and over a rugged mountain pass with ease. It simply boosts the driver happiness level. 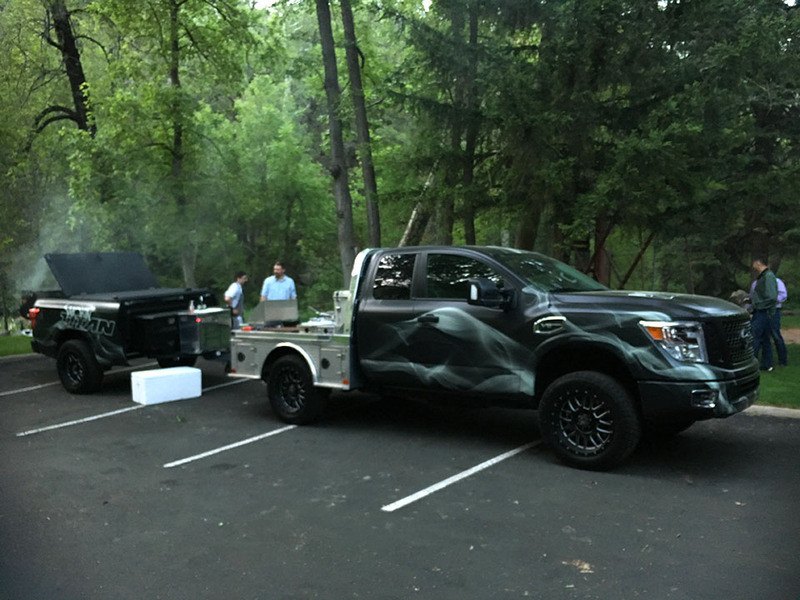 For those of you who would rather cook and eat than peep the great outdoors, you can always add a smoker onto the back of a Titan. 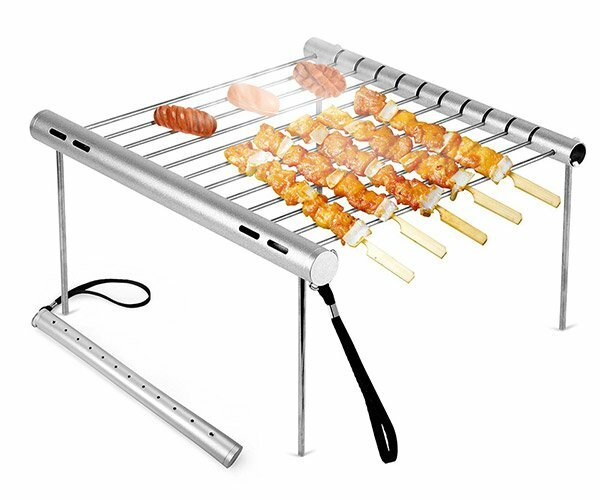 The Smokin' Titan is up to the challenge of cooking up a tasty barbecue anywhere, anytime. 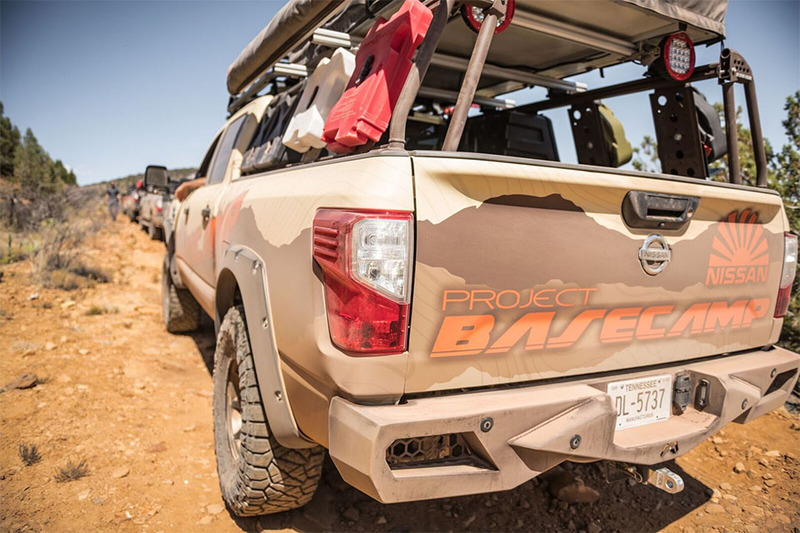 If you do enjoy the great outdoors though, then why not modify for it: the Titan Project Basecamp was specially crafted from a stock Titan XD PRO-4X crew cab (with its formidable 5.0L V8 Cummins turbo diesel engine) to explore all kinds of backcountry. As the Mountain Patrol lead the group back to homebase, we realized how thoroughly we enjoyed experiencing its production Armada cousin and testing its (way higher than average) capabilities. 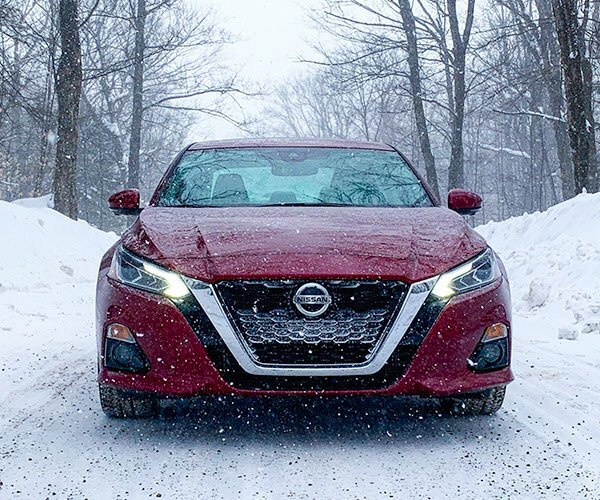 It looks good, is fun to drive and offers a plethora of safety features. Plus, it prices out significantly less than its competitors in class. 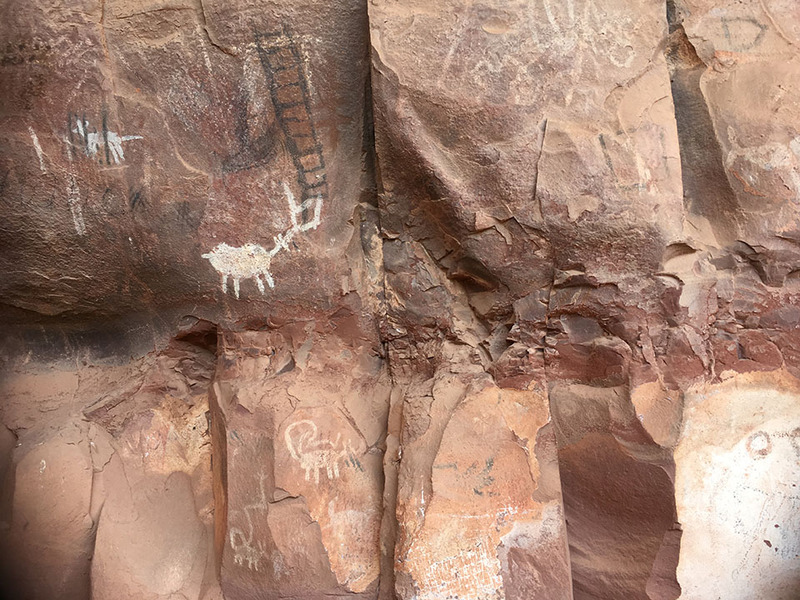 We know it isn't fair to compare modern day DIY travel enthusiasts to the Native Americans that came 10,000 years before us, but we do know, like they did, that when it comes to nature, everything is connected. When we can be touched by nature and our surroundings in meaningful ways, it expands our worldview. And, we know it's important to remember and honor that. Nissan knows it too. 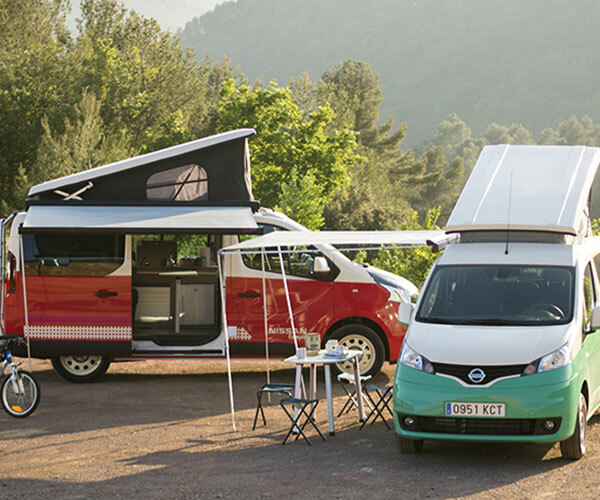 They build vehicles to make it easier and safer for us to revel in the splendor of those moments, and bring special experiences within closer reach.